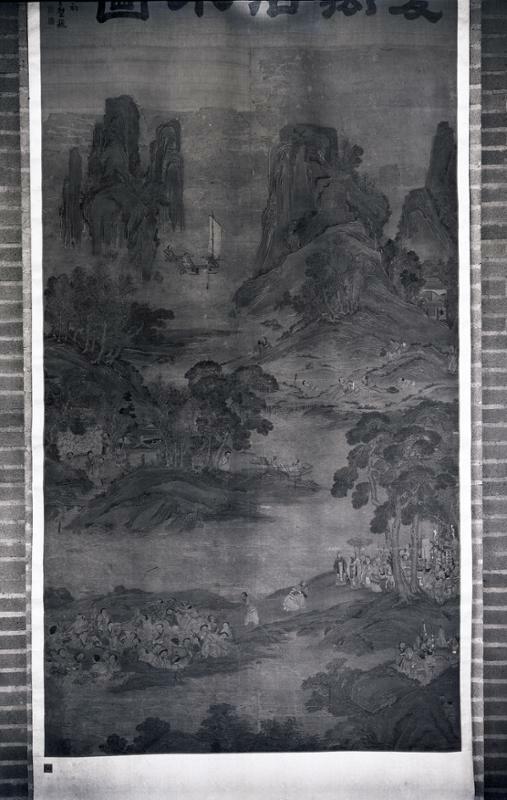 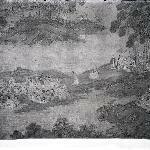 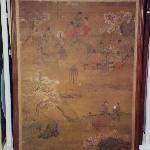 Large format painting by an unknown artist of Early Ming Dynasty. 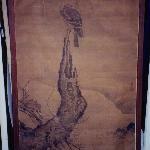 Calligraphy by Ma Wan 马琬 (1271-1368 CE) also known as Ma Wenbi 馬文璧. 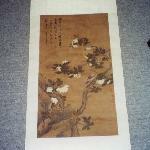 Four seals (two at the bottom and two at the top). 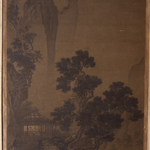 Title reads: 夏禹治水圖: "Yu of the Xia subduing the deluge". 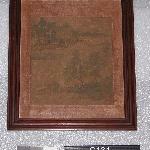 The inscription at the top is on a seperate piece of silk from the painting which dates to 1357 CE. 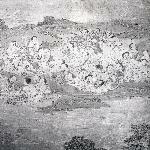 There is an inscription at the bottom on a rock that reads: 中和二年八月支仲元筆 (2nd year of Zhonghe reign period, eighth moon. 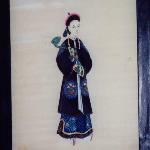 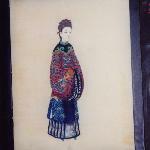 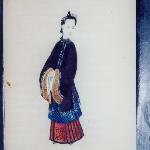 The brush of Zhi Zhongyuan). 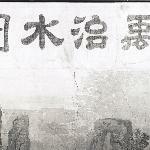 The seal that is under the inscription is illegibile.